Summer vacations are winding down and that means road trips for fall log home shows! You’ll want to save the date for these great fall log home shows, including a new destination for the Katahdin team in Great Falls, MI. 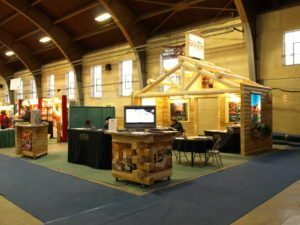 Log home shows are a great way to become better informed about Katahdin’s dedication to quality, efficiency and great design—There’s always something new to learn! A visit to our beautiful Katahdin booth gives you a chance to see more about what makes our approach unique, including our commitment to energy efficiency and complete custom-designed log home packages.